They’re united by a lofty goal — to investigate whether Jupiter’s moon Europa could harbor primitive life under its icy shell. 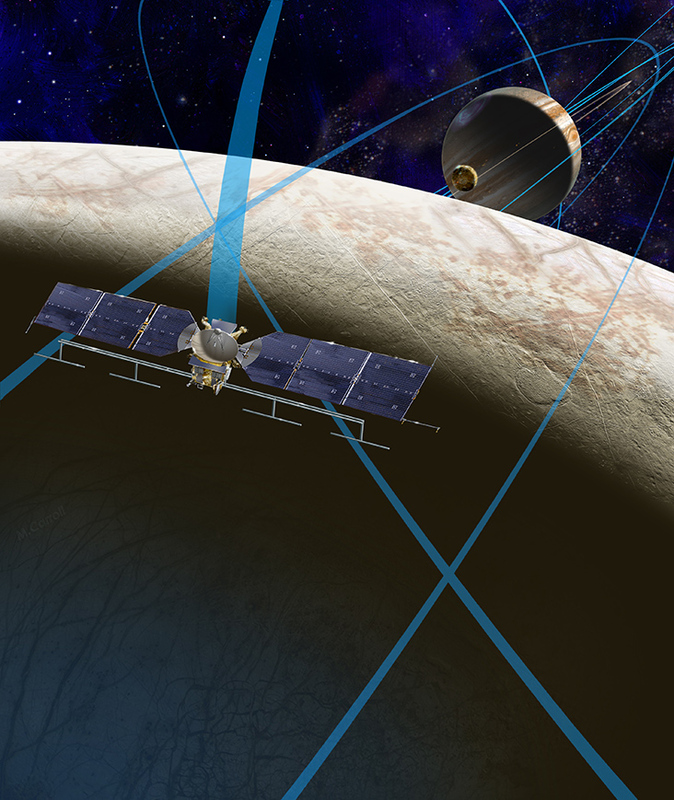 Last week, a team of scientists and engineers for NASA’s planned mission to Europa met for the first time at NASA’s Jet Propulsion Laboratory in Pasadena, California, to begin turning that goal into reality. After years of planning and hoping, the premier gathering was the final page of the team’s origin story and the beginning of a new chapter that could last as long as two decades. The mission plan calls for a spacecraft to be launched to Jupiter in the 2020s, arriving in the distant planet’s orbit after a journey of several years. The spacecraft would orbit the gas giant planet about every two weeks, providing many opportunities for close flybys of Europa. The mission plan includes 45 flybys, during which the spacecraft would image the moon’s icy surface at high resolution and investigate its composition and the structure of its interior and icy shell. In late May, NASA announced the selection of instruments for the mission’s scientific payload, while in June the mission formally entered the development phase known as formulation. Artist’s rendering of NASA’s Europa mission spacecraft. Credits: NASA/JPL-Caltech.